A traditional surgical facelift can involve hours in the operating room, followed by weeks of downtime and sometimes painful recovery. But, the LazerLift® is different. 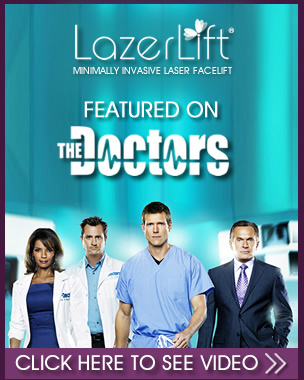 The LazerLift® is minimally invasive and uses the power of advanced laser energy, rather than the scalpel and stitches, to tighten and lift the lower face and neck. That means there are no extensive incisions, no need for risky general anesthesia, and minimal downtime during recovery. 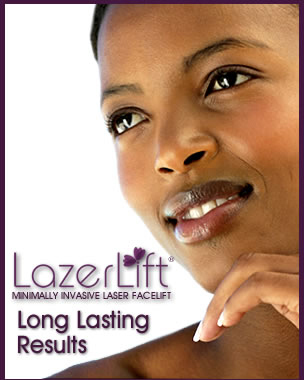 The LazerLift®’s highly advanced technology allows us to produce great results without the need for cutting, tightening, and stitching of the skin and the underlying SMAS layer of connective tissue. That means there are no extensive incisions that need to heal. With the LazerLift®, there is significantly less bleeding, bruising, swelling, and discomfort than with more invasive surgical procedures. While every patient heals differently and your doctor will discuss your specific expectations with you at the time of your procedure, in general, LazerLift® patients can expect very minimal bruising and swelling for about 3 to 5 days after treatment. * Discomfort is usually minor and can be managed easily with over-the-counter pain medications. Your doctor will see you for a follow-up visit one week later.